Frost School of Music continues to break new ground and blaze a path for students passionate about music. 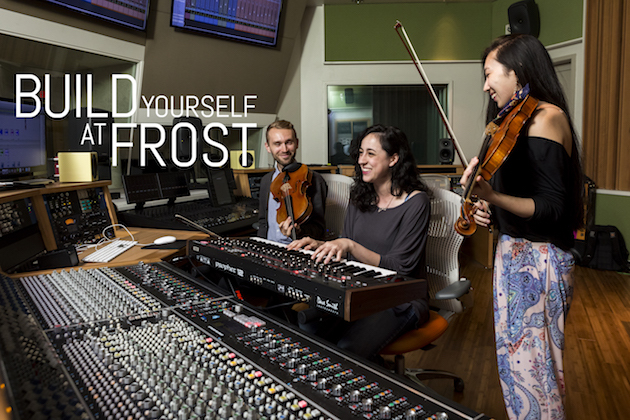 At Frost you can focus on your area of musical interest or choose to interact with other disciplines and genres. Frost students are more than just a one-instrument player, singer, composer or technician. They ARE music! Small class sizes with strong music AND academics. Interactive hands-on Experiential Music Curriculum. Students graduate with an expanded imagination, broader vision, and the ability to fully integrate all aspects of the music industry in today’s entrepreneurial world. 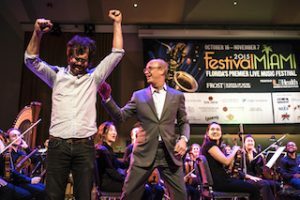 In 2015 alone, Frost was awarded 18 Downbeat awards. Frost is located in Miami in the midst of a diverse international music and entertainment industry hub that provides connections, experiences and global opportunities. 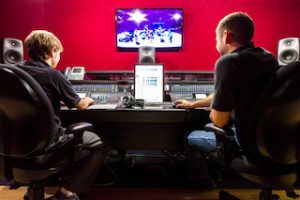 Study, compose, produce, and perform alongside current music industry professionals who write and produce film scores and music for TV specials, produce albums, participate in international industry organizations, produce major concerts, and excel at music technology, music education, and music therapy. Minor in songwriting available through the Bruce Hornsby Creative American Music Program (CAM). NEW: B.M. degree program in Musicianship, Artistry Development & Entrepreneurship (MADE) for preparing performers, songwriters, producers, etc. for success on the creative side of contemporary music industry. World-renowned and award-winning scholars, performers, active industry professionals, Academy Award, Emmy, Downbeat and GRAMMY winners, and musicians with the Metropolitan Opera, Chicago Symphony, and San Francisco Symphony. Frost features 50+ ensembles with more than 300 student/faculty performances every year. All Frost undergraduate students, regardless of major, can perform in ensembles their entire four years. 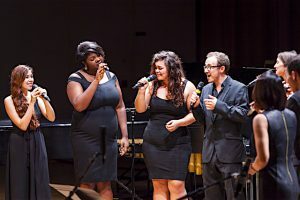 HMI trains stellar classical and jazz graduate students in a full range of genres— from classical styles to pop, jazz, rock, hip-hop, Afro-Cuban, Latin, Asian, and other world music. Frost students have taken classes with the likes of Pharrell Williams, Rolling Stones drummer Charlie Watts, Jason Vieaux and others. Through its Miami residency, The Cleveland Orchestra gives Frost School graduate and undergraduate students a rare chance to receive coaching from orchestra musicians and conductors. 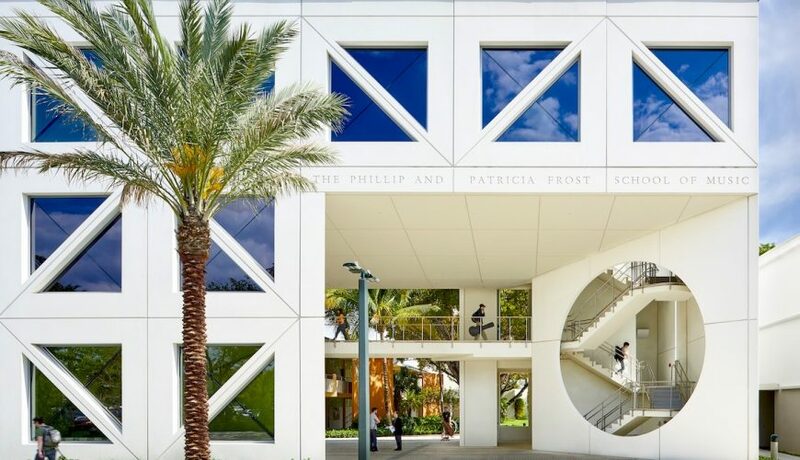 Please send me more information about scholarships, applications, and auditions for music students at University of Miami Frost School of Music. 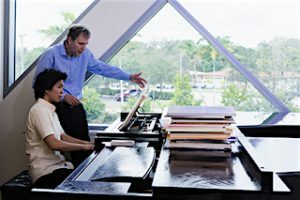 Your name and email address are held in strictest confidence by MajoringInMusic.com and University of Miami Frost School of Music... they will not be shared with anyone else.